One way that I have been working to build collaboration within the classroom is through collaborative whiteboard apps, such as Baiboard. 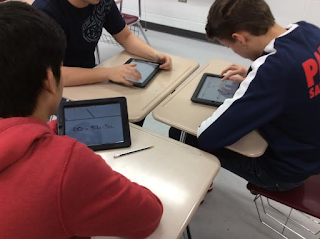 Just the other day in my Honors Geometry class, I used Baiboard for students to collaborate on a "challenge" problem. I knew that students may struggle to complete the problem on their own, so I thought, why not give them the opportunity to work together! 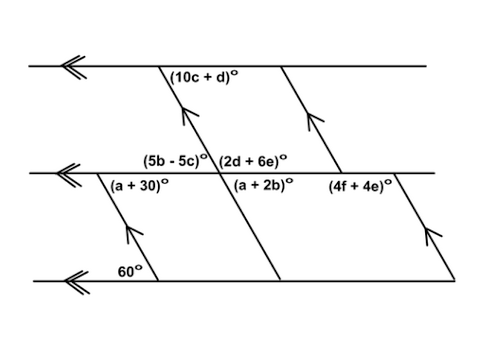 I knew from prior experience that students struggle with problems when there are multiple sets of parallel lines. Therefore, I had students work in groups in the Baiboard app to figure out the problem together. Through this app, students work on their own iPad screen, while seeing their group members work as well. Essentially, they are working on the same worksheet. The best part of watching students work in a collaborative whiteboard is the discussions that come about. I hear students asking one another "Hey, how did you get that?" or "Does anyone know what to do next?" Some students are not always as vocal when put in group settings but are willing to share their ideas on "paper". This is a great way for students of different learning styles to have a voice. 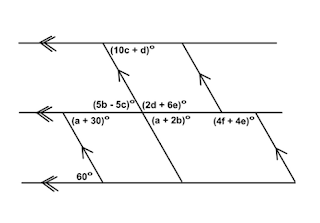 Here's a sample of a discussion on this problem. Baiboard is one of many apps to get kids collaborating with one another. In previous blog posts, you have read about ClassKick, which I also use regularly for students to obtain feedback and help one another solve problems. If you have any additional resources to share that develop collaboration in the classroom, please share!